Where’s my hoverboard? Sorry, you’re probably never getting one. Some claim to have invented a real floating skateboard like Marty McFly’s. They’re all lying. We live in an age of such dazzling technological progress that it can seem at times like absolutely anything is possible—indeed, just over the horizon. We have jetpacks, augmented-reality glasses, bionic legs. Where’s my flying car? Right here. But some things remain out of reach even in these vertiginous times. And I’m sorry to report, dear friends, that one of these is the hoverboard. Now, let’s evaluate some of those efforts. It would be unfair, of course, to expect a real-world equivalent to look and perform exactly like the one in the movie. And semi-reasonable people can debate the precise criteria for a legitimate hoverboard. But I think we can all agree that, for starters, it must a) be a board and b) hover. Let’s start with the Airboard, the subject of that 2007 YouTube video. It uses an internal combustion engine and a massive fan on its underside to push itself ever so slightly off of a smooth surface. Ignore the drive wheel, which touches the ground, and you might even say it hovers. It is not, however, a board. Five feet in diameter, 6 feet tall, and weighing 170 pounds, it looks more like a hybrid of an innertube and a John Deere standup mower. And its top speed is 15 miles per hour. Good luck making your getaway from a gang of sneering villains on that contraption. Then there’s Mattel’s hoverboard, which the toy company offered for a limited time earlier this year. It is, to its credit, a board. But it does not even pretend to hover. It is a hoverboard in much the same way that a hobby horse is a horse. That a bunch of people apparently bought it is a testament to just how far away we are from having real hoverboards. If you search “hoverboard” on Google today, the first result is an item from Zazzle.com that is labeled “futuristic anti-gravity hoverboard” but is, in fact, a skateboard deck. Moving up a level, we have a pair of contenders that both hover and are boards. Yet each breaks down when it comes to the next criteria, which are that they c) bear a human’s weight and d) actually go somewhere. The one that prompted Gizmodo to inform us in 2010 that “a real working hoverboard exists”? Well, it does hover—as long as no one stands on it or moves it from its electromagnetic platform. 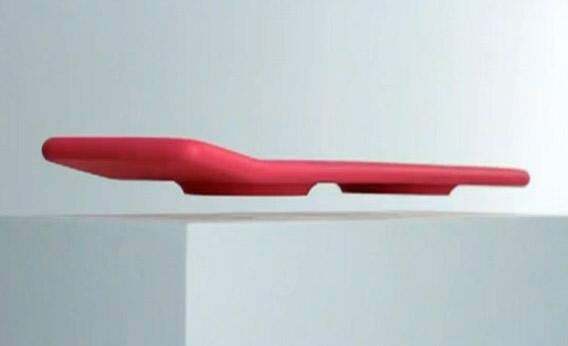 In short, it’s a neat art project, but a HINO: hoverboard in name only. Which brings us to our final entry, the Mag Surf. The one billed as “Real Life Hoverboard” by Buzzfeed earlier this year is the closest thing we’ve seen yet to the real deal. It’s a board. It hovers. It bears a human’s weight. It even moves! And the technology is super-cool—literally. Built by a team of researchers at Université Paris Diderot, the board “hovers” an inch or two above the ground via superconducting levitation, and you can propel it forward with a little push-off, not unlike how McFly gets along in the movie. There are two limitations: One is that the board’s bottom must be cooled to 200 degrees below zero Celsius for the superconductors to work. The other is that it operates only along a magnetic track. So it’s less like McFly’s hoverboard and more like a really slow maglev train built for one. I exchanged emails with Julien Bobroff, a physics professor at Universite Paris Sud who specializes in superconductivity, to see whether he thought those obstacles could ever be overcome. He said it’s possible researchers could develop a more convenient way to cool the board than liquid nitrogen or discover a means to achieve superconduction at higher temperatures. “We cannot predict whether this will happen or not, but we are searching for it,” he said. As for the idea of a hoverboard operating on terrains other than a magnetic track, he was less sanguine. Kudos to Bobroff and others who are coming up with ingenious ways to levitate things. And yes, we still have nearly three years until “Future Day,” social-media hoaxes notwithstanding. But perhaps it’s time we all faced up to the fact that we’re not getting our hoverboards—not by 2015, and quite possibly not in our lifetimes. At least, not without a DeLorean time machine.